Toyota is relocating its sales headquarters from California to Texas to bring its various U.S. operations, which are currently spread across the country, into once space, Reuters reports. There is much more to the story at Business Insider if you are interested. From my perspective, as a California expatriate (born and raised in Anaheim and, but for 4 years in the Navy, lived my life there until 1997 when I was finally able to flee to Illinois), this is a symptom of a failed political and economic ideology. Currently, it is Jerry Brown who is trumpeting "his" success at bringing the state back from the brink but before him it was AH'nold, and before that it was Grey Davis. The issue is NOT to populate the legislature and the governor's mansion with liberals. If you have to be reminded why businesses are leaving California you must be watching Seinfeld instead of Fox News or even CNN. The biggest reason is the COST of doing business—high taxes, bad regulations, and union control. Add to this the Arnold and Jerry policies to raise the cost of energy by 33%–just because Al Gore tells a joke with a straight face. From my good friend Dr. Ben Zycher of the Pacific Research Institute, “California already suffers from high retail electricity rates relative to the rest of the country. PRI reports that retail rates in the Golden State are up to 131 percent higher than rates in the Pacific Northwest and 70 percent higher than rates in the Mountain region. In fact, California rates are 53 percent higher than the U.S. as a whole. The Orange County [California] Register reported that 254 companies left California in 2011, an increase of 26% over 2010. So this is not a new trend. One expects that those in charge would eventually come to understand their policies are not working and, in fact, are dragging the state down. Move over, Detroit, you're about to be joined by an entire, VERY populous (for now) state. As California has increased the tax penalties for being a business in California, it's no small wonder to see businesses move out. 'Twas the straw that broke the Camel's back I figure. First it'll be a trickle, and will likely build into a torrent, as businesses move and take their employees with them. So expect a dwindling tax base for California, along with an increase in the unemployment rate, at least for employees that aren't willing to move. Gonna crimp the Democratic state legislature's spending habits. Well, the legislature's spending did it to themselves, and their fellow Californians. 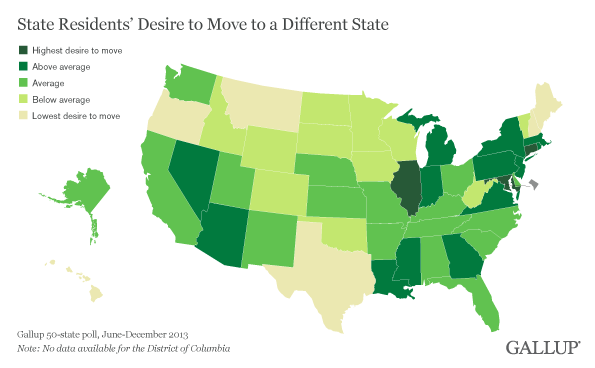 Worthy of note, here, is the migration (also) from Illinois. Caterpillar (near Peoria) has used it as a bargaining chip: Either the governor capitulate to their demands or they are moving out. The governor caved, but now Caterpillar is renewing the rumors that they are looking elsewhere. My own employer has ... let's call it "diversified" it's presence here in Illinois, decentralizing most of its primary operations (call centers, Claims, Underwriting, etc.) from Bloomington, IL, out to one of three "hubs" in Atlanta, Dallas, and Phoenix (and they're opening more). Only thing is, really, only a certain level of associate is offered relocation to the new digs: Lower level, including almost all support level, either moves themselves or they are out of work (my employer DOES offer them a different job in Bloomington, though, as available). and it is all happening just as you say it happens in California: Higher prices, higher taxes ... more straws on the camels back. I don't suppose it is coincidence that we are also controlled by a Democrat/liberal legislature and governor, though, is it. No it isn't... because you're not. Illinois is controlled by the Democratic Machine in Cook County. 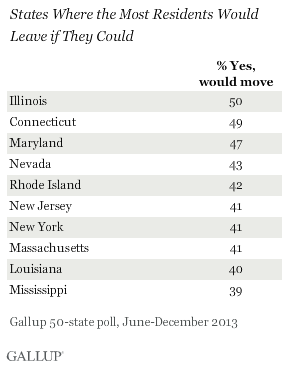 Yes, you are right... More fodder for my "Take back Illinois" movement which includes setting the entire Chicago area adrift as its own state. Texas does have higher property taxes. Nobody ever mentions that part. 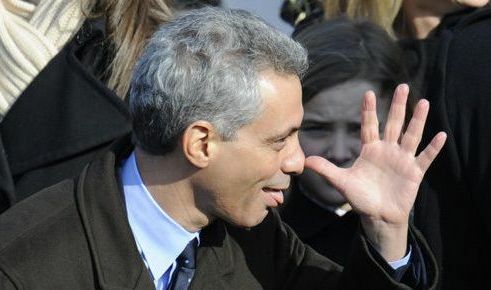 I figured once that what I save in by not paying a state income tax, I end up paying in higher property taxes. Either way, they get you. And Texas has what's called a "franchise tax", which is a fancy word for corporate tax, on businesses with revenues over 1 million. What Texas does have is relatively cheaper realestate vs other strong economic states. In 2010, I paid $265k for my 2300 sq ft house with a pool and hot tub on a 15,000 sq ft lot in an upper-middle class neighbourhood, 15 minutes from downtown, schools are not that great however and if they were it would have listed for about $100,000 more and people will pay for that. Of course that was during a nationwide realestate market bottom. But for the 4th largest city in America, that was a great value. And still is. I assume that is what is really attractive. My wife is a realestate agent, and so many of her calls now are out of staters who cashed in the over priced Westcoast or Northeast realestate and can't believe what they can get for their money down here. But yeah, things are booming down here. Hard to know there was ever a recession. WHAT DOES IT TAKE TO GET YOU PEOPLE OFF YOUR HANDS. (there, thank you, I feel better now). I payed $155k in 2003 for a 2000s.f. 4/2/2 with a 2 car carport and fenced yard on an acre. I'm 30 minutes from downtown Dallas and the schools are great. My property taxes were $3900 last year. This is for my land. The state doesn't inventory our property and tax us for it. Sales tax is 6.5% and local districts can make it as high as 8.25%. Groceries are tax free and I think medical care is also. I look forward to working as a contractor at the Toyota offices. Nice place. Just curious, why 2 car carport, and not a garage? Possible upgrade / add on? Toyota moved out of the old GM plant in Fremont Calif some time ago. Tesla now has it: American born American made. This was their Sales HQ (American) in Torrance. Life can get rough when you don't pay attention. My understanding is that Elon Musk is hedging his bets, and he's going to build his facilities in multiple states. Best guess is that he's going to use this ability to ship work out if the business conditions are favorable, and / or use as leverage to get a better deal. Now that's what I call being a shrewd and foresighted businessman. Easily worth $1M / year to the business. Wouldn't you say so? Well, sooner or later that drought is going to take a toll on the pot harvest. Wait, you fled too Illinois? Talk about out of the frying pan and into the fire.